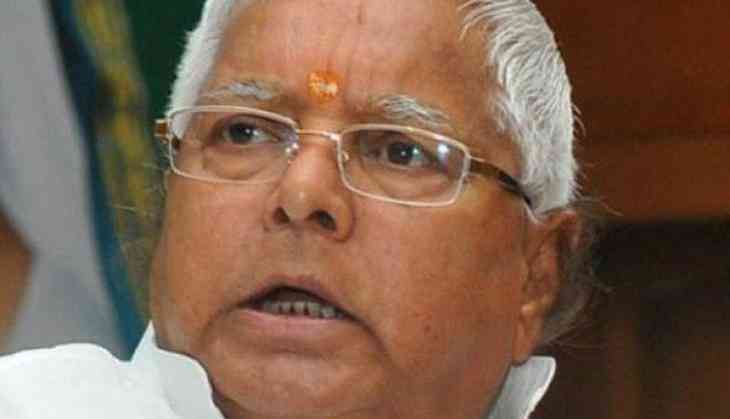 Former Bihar chief minister and Rashtriya Janata Dal (RJD) supremo Lalu Prasad on Saturday was sentenced to seven-year in prison in the fourth fodder scam case. Lalu was held guilty in the Dumka treasury case by a special Central Bureau of Investigation (CBI) court, here, earlier on March 19. The RJD chief was guilty of fraudulently withdrawing Rs. 3.13 crore from Dumka Treasury between December 1995 and January 1996, when he was the chief minister of undivided Bihar. Former chief minister Jagannath Mishra from the Bhartiya Jan Congress (Rashtriya) was acquitted by the court in the case. At least 14 others were also convicted. Lalu Prasad is already serving a jail term of 13.5 years in three fodder cases and has been lodged in the Birsa Munda jail. Vladimir Putin, 66-year-old Russian President to marry half of his age, dreamy eyed gymnast!